It's Father's Day weekend and the start of high school graduations! That means picnics, potlucks, barbecues and other special meals. Make every dish great with local goodies from the Farmers' Market! Kitchen Blessings is getting into full swing with our pie season. There will be fresh fruit pies including Fruit of the Forest, Red Raspberry, Plain Rhubarb, Strawberry Rhubarb, and Elderberry. Pick one up for Dad, or just for your weekend. Fisher Hill Farm has strawberries, rhubarb, head lettuces, radishes, green garlic, garlic scapes, potatoes, and onions. From the 'other side' of the farm we'll have FRESH chicken, free-range eggs and assorted Red Jacket juices. Hot Mud- our newest member is for the spicy loving crowd. It is our Wicked Chocolate custard with jalapenos and dark chocolate bits. From Gottslond Farm, pastured, supplemented with only certified organic no-soy feed. Duck eggs, emu steaks, ground emu, emu sausage and emu soup bones. Rise and Shine Bread will have English Muffin Bread, Asiago Ciabatta, Rosemary Fococcia, Wheat, Honey Wheat, Rye, Pumpernickel and Raisin. Also, sweet breads and brownies. Nordic Farm will again be featuring Strawberry and Strawberry Rhubarb as our jams of the week, 'tis the season and one can never have too many strawberries can we, especially when they are fresh!! Dill relish for hots and hamburgs! Making many jams daily. Also three kinds of granola! Tripleberry Farm will have fresh picked pesticide-free strawberries this week. I will also be featuring strawberry peach jam. Stop by for a sample. In addition I will have our moisturizing goat milk soaps including Jewel Weed for poison ivy. Newbury Park Pastries will have chicken, shepherds, pulled pork, veggie & panang pot pies this week. If you did not get a chance to try Maggie's Mustard's new Sweet 'n' Spicy mustard stop by for a sample. Don't forget to buy a jar of some kind for Dad! We are thankful for all our customers...new and old. 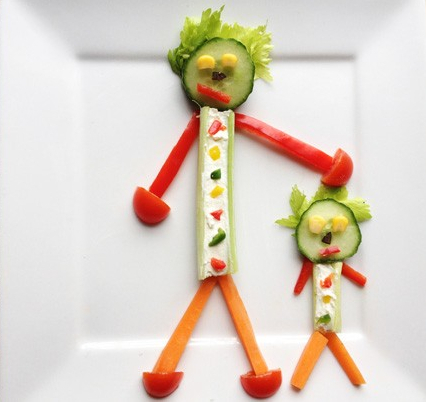 Come celebrate all the fathers in your life with Bedient Farms Meats! We will take $1 off each purchase of 2 steaks for your Sunday cookout! Also $2 off any beef or pork roast for barbeque! Chicken’s great on the grill as well, pick up a whole cut-up chicken or legs and thighs. See you at the market! Amber Reifsteck will have a few mixed flower bouquets. Mauve and orange lilies are blooming this week, so they should brighten up the bouquets a bit this weekend. K & S Bischoping will join in July when their first peaches are ready. We have a few new vendors, come meet some great new small businesses and catch up with your old favorites! Understanding and shopping at the many farmer’s markets in the area is a fun and laid back experience. There is no better way to get to know the market than with the chefs from the New York Wine & Culinary Center. 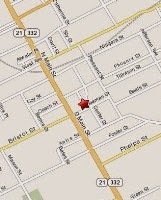 Each Saturday, we’ll begin the morning by meeting at the Canandaigua Farmer’s Market, 167 Mill St., Canandaigua. (Our chef instructor will be wearing his chef coat). As a group you’ll meet some of the farmers, plan a menu, and buy ingredients. Then it’s back to the New York Wine & Culinary Center’s Hands-On Kitchen to prepare lunch. We’ll have the protein and pantry to round out the menu and no one will go hungry. Register by yourself and meet new friends or sign up as a group. You may want to attend more than just one of these classes because the produce at the market changes throughout the summer season.